Metal RV Covers are one of our newest product lines that allow us to reach side heights our standard carport and triple wide carports can not. The innovative design consists of a double-leg and dual base rail, giving the Metal RV covers the rigidity and strength to withstand nearly any weather conditions!. Metal RV covers are the absolute best protection for your motorhome, motorcoach, campers, etc. 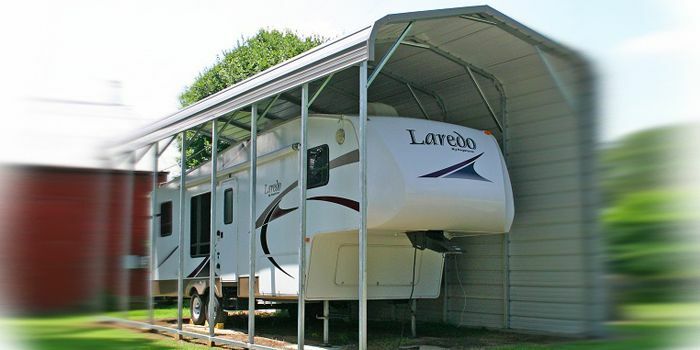 Our steel RV carports are designed to withstand 100+mph winds and come standard with 20 year warranties! Stop spending countless money on fabric rv covers or the polypropelene temporary covers and do what thousands of others have done, buy a metal RV cover. If your application doesn’t require heights up to fourteen feet, then our standard metal carports for sale will suffice. Heavy Duty Metal RV Covers, Built To Last! The Double Leg, Double Base Rail Feature is freshly added to our oversized RV covers, as well as new to the industry and promises extra stability for covering our tallest customer needs. 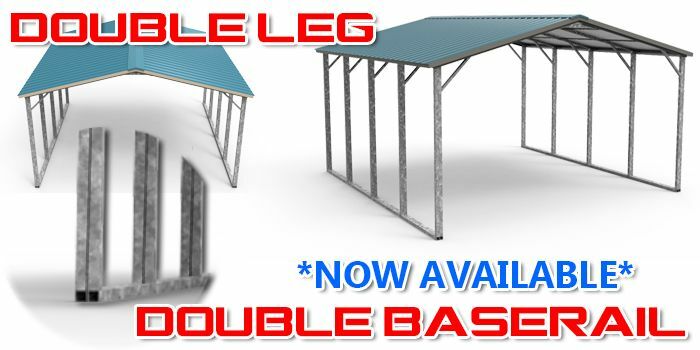 With two times the amount of legs and twice the supporting baserail, no other metal RV covers can offer higher ratings! If you are needing a custom size or would like to totally customize one of our metal RV covers, Call Us Toll Free: (800)279-1149 or Request a Quote Today! Don’t forget to take a look at our awesome metal garages before you go because these same rv carports can be closed in completely. Website Design & Development: Surry Digital, Copyright 2014-2017. All Rights Reserved.